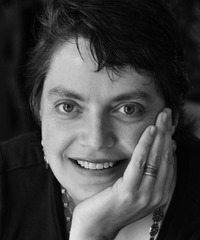 For this guest blog post, I thought I would do something a little different and talk about a readerly and writerly virtue: patience. In daily life, patience is something that I need to practice more and which seems increasingly hard to do in the face of the flood of information around me. Wait until Wednesday for my UPS package? OK, sure, but I’m going to watch the tracking updates in case it comes early. Irritated with the point someone is making? I’ll just look at something else on my phone. We’re in a culture which continues to increase in speed, and the more one expects something to come soon, the harder it is to be patient. 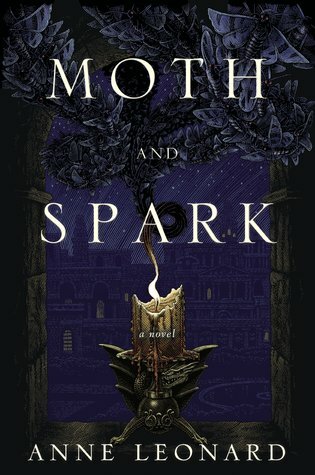 One of the comments I’ve seen from early readers of Moth and Spark is that it’s a bit slow at first. My first reaction was “What? There are a dozen dead bodies by the end of the first chapter!” But I do write with a slower, more deliberate pace than many writers. Much of this pacing probably comes from reading nineteenth century novels and from an academic background which values consideration and devalues hastiness. But since I started thinking about this, I’ve realized that this is also a preference of mine. I’ve read several books recently that rushed by with the protagonist in one danger after another. It seems like the first chapter can’t end without a death, a chase, a knife fight, or so on, and the second chapter has to pick up immediately. Then, after that first frantic breath, it slows down a little. For me, part of the pleasure of reading is the immersion. I don’t want to rush back into my own world. I want to spend some time somewhere else, to linger in this new place where I don’t know what will happen next. I want to explore. Of course I want events and changes in my story as much as anyone else, but I’d rather ease into them than merge onto the freeway at 80 miles an hour on page 5. When I drive fast, I don’t see anything except what’s immediately around me. characters and wanting them to get on with it, flipping to the next chapter to see if the story stops being stalled, or harassing George RR Martin for the next installment of Game of Thrones, readers often lose patience pretty quickly. I do this too. I’m especially aware of that tendency in myself when I pick up a big fat slow book that takes a while to unfold. But as a reader, I am trying to practice patience and take the book on its own terms. As a writer, I also need to practice patience. Mostly this is patience with my writing process: patience to wait when the well runs dry, patience to think through something before writing a lot of words that will later be cut, patience to finish a scene fully instead of rushing on to the next one. But it’s also patience with my own story. I need to have the patience to let the story take me where it wants to go. I’m not talking here about plot ideas. I’m fully capable of letting lots of plot ideas take over and ending up with a knot that I can’t untangle. I need to have less patience with some of those. I’m talking about the “aboutness” of the story. It has its currents, and when I try to alter the flow, bad things happen. To continue with the watery metaphors, I get beached or capsized, there’s a flood, or I cause a beautiful waterfall further downstream to dry up. Then I arrive where the waterfall should be, wonder what the hell happened to it, and have to go back to knock down the dam. I get to choose how to tell the story. But I don’t always get to choose the story that’s being told. Just as I need to allow the story to be told on its own terms when I’m reading, I need to allow it its own terms when I’m writing.